UFC 180 is on this weekend, and the Interim Heavyweight UFC Championship title is on the line between Fabricio Werdum and Mark Hunt. You can watch the official weight-in here and the Fight Club Q&A with Cain Velasquez here – both starting at 9pm Irish time. 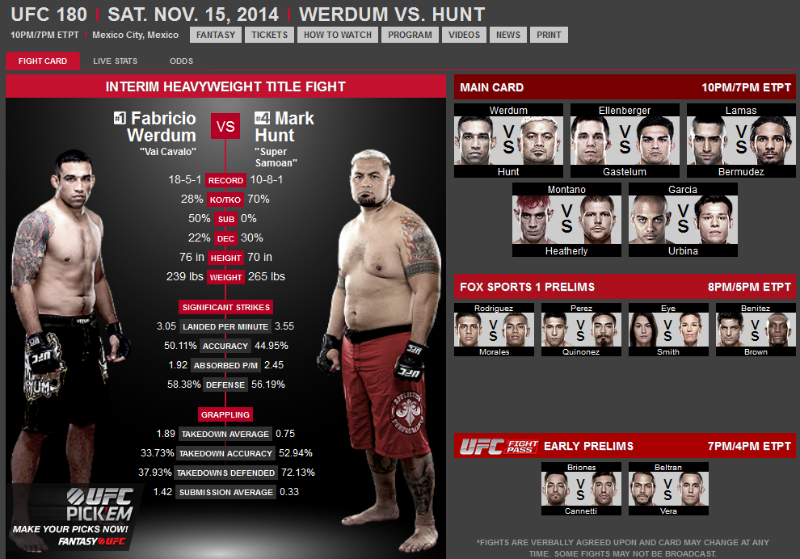 Submission specialist Werdum takes on knock out specialist Hunt tomorrow night (well, early Sunday morning here). Below is the preview.